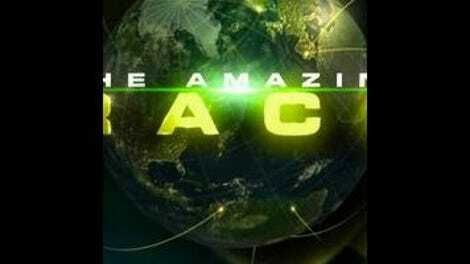 The Amazing Race: "We Had A Lot Of Evil Spirits, Apparently (Japan)"
"We Had A Lot Of Evil Spirits, Apparently (Japan)"
Mud wrestling, a car accident, and unintentional(?) sabotage should have been all the elements necessary for another exciting leg of the race, yet tonight’s installment of unfinished business was a strangely lackluster one, punctuated by a bummer of an outcome. After an overnight train ride from the Outback to Sydney, the teams are bunched fairly tightly at the outset, where they are given instructions to fly to Tokyo, Japan. A nonstop flight is set to arrive at 6:15, but several teams discover an alternative option with a scheduled arrival time of 6:00 a.m. There’s a catch, however, as that flight includes a change of planes in Hong Kong. Is it worth gaining 15 minutes on the other teams at the risk of the connecting flight being delayed? It’s a question worth pondering, and we have plenty of time to ponder it, as the point is hammered home at least a dozen times within the first 10 minutes of the episode. It’s laughably obvious that we’re being set up for something going wrong with the connecting flight, and sure enough, the five teams that decide to risk it find themselves stranded on the tarmac in Hong Kong, while the other five arrive on time in Tokyo. It’s hard to blame them for the decision, since 15 minutes can be the difference between survival and elimination, but in the Race as in real life, avoiding connections is almost always a good idea when it comes to air travel. The roadblock entails performing a Japanese ritual of bowing and presenting a bow, then using the bow to shoot an arrow at a target while riding a wooden horse. It looks easy, but the ritual must have been very difficult to master, because despite the fact that their plane arrived 80 minutes after the first group, Zev and Justin are able to catch up before anyone has completed the task (and before the desperately lost cowboys have even arrived). In fact, Z & J are the second team out of the roadblock, following Jen and Kisha, so for all the fuss made about the choice of flights, it proves almost irrelevant in their case. The same can’t be said for some of the other trailing teams, most notably Jaime and Cara. They do not actually run over a small child as I promised last week, but they do manage to sideswipe the side-view mirror of another car, suffering an additional delay as the driver calls in the police to mediate the matter. That should have been enough to knock them out of the running altogether, had Mike and Mel not met their inevitable fate at the Detour. Throughout the first three episodes, I’ve been rooting for Team White, while at the same time dreading their every appearance. It’s been clear since the beginning that septuagenarian Mel isn’t physically up for this thing, so every time they show up onscreen, I’m fearing the poor guy is going to keel over. And as has become quite obvious, his son Mike shares my fears. Their chosen Detour task, which involves digging through cold mud for a hidden frog while being pelted with mudballs, proves to be Mike’s breaking point. The old man doesn’t want to give up but finally accedes to his son’s wishes. It’s sad, but I have to admit, I’m kind of relieved it’s over with. I’ll probably shift my primary allegiance to Zev and Justin, who are proving to be a powerhouse, finishing first again this week, despite arriving in Tokyo nearly an hour-and-a-half later than five other teams. And I’m still down with the Globetrotters, although their actions this week were a bit on the shady side. At the other Detour task, performing another Japanese ritual that included standing under a freezing waterfall, Flight Time and Big Easy accidentally left with Christina’s fanny pack in tow. I would have called that a simple brain-fart had they not left the bag behind in the men’s changing room after learning of their mistake. Not cool, and I thought they were going to get away with it, too, until Christina explained the situation to Phil, who assessed a 30-minute penalty on the spot. Still, it was Mel and Mike who were eliminated, and a very surprised Jaime and Cara who lived to race another day—hopefully a day that includes more interesting tasks than this one did and less prolonged airport drama that turned out not to be that dramatic after all. I’m also docking this episode for reverting to straight-ahead “go here, then go here” instructions after the more challenging clues of the first two episodes. Mallory is apparently still all hopped up on goofballs. Let’s see, Kent reveled in his “yellow skirt” at the bow and arrow challenge, then gave a Japanese man a muddy hug while wearing nothing but a diaper. But he and Vyxsin are dating! Really! Did I hear Zev make a disparaging reference to the size of Japanese, er, manhood? And he seemed like such a well-mannered young man. Next on The Amazing Race: Ron freaks out again.